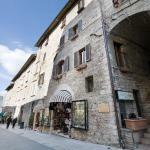 Despite being a small town in central Italy, the offer of hotels in Assisi is very wide. 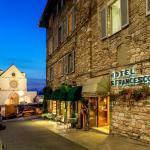 In the historical centre of Assisi cheap hotels are available to tourists in 2 and 3 star solutions, but there are also hotels in historical residences. Assisi is a Medieval and Renaissance city of international renown, visited by tourists and believers from around the world. 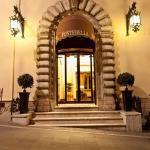 Hotels in Assisi, as well as hotels near Assisi, are often run by clerics. The service is always nice and the atmosphere is welcoming. Select travel dates and find all available hotels in Assisi, check out guests reviews and locate properties on Assisi city maps, book your favourite accommodation with no pre-payment. All rates are in Euros and inclusive of all taxes. 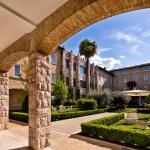 Hotel Umbra is a lovely small hotel in the heart of the quiet and magical streets of Assisi, a short walk from the central Piazza del Comune.